Due to the nature of our business Modelli Fabrics consider each customer order to be a custom-produced order. For this reason we cannot accept returns on the basis that the customer either does not like the product or deems it unsuitable. The only reason we will accept a return is if the product is damaged, or we have either sent the wrong quantity or incorrect fabric. If we agree that fabric can be returned, it must be sent back in the original packaging, and wholly intact. Fabric which has been part processed, or has in any way been altered, will not be credited. Only once fabric has been checked will credits/refunds be issued. Customers are strongly urged therefore to request free samples before ordering. Should customers order without first requesting a sample then they do so entirely at their own risk. If goods are ordered without seeing a sample, and authorisation is given to return fabric, customers should be aware that a £30 re-stocking fee will be applied, regardless of the quantity ordered. 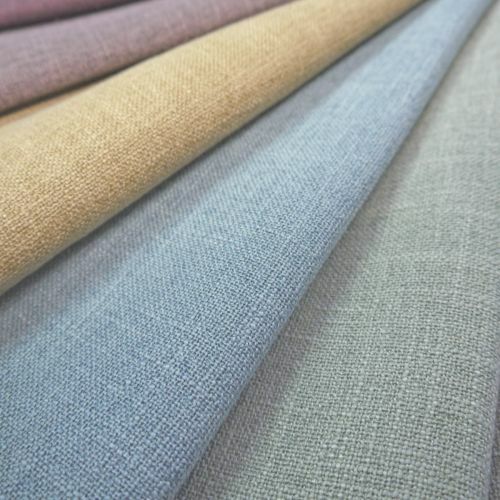 If customers ask us to deliver fabric direct to their upholsterer / curtain maker etc it is the responsibility of the customer to ensure that the person doing the work has a physical sample of the fabric in question to check against the bulk delivery from us. Mistakes can happen very occasionally, however we will not entertain any complaints made once fabric is cut even if we have unintentionally shipped the incorrect fabric. We are always very happy to replace fabric sent wrongly as long as it is intact and in the original packaging. Goods must be inspected and checked before cutting. If the goods are received damaged, then they should be signed for as such and we must be advised in writing immediately. We may ask customers to supply a photograph showing the problem or for a sample cutting if the complaint concerns colour match. Once we agree to a return goods will be exchanged without delay. Modelli Fabrics take all reasonable precautions to ensure batch and colour consistency and work within long accepted industry guidelines. We cannot however guarantee a perfect match from one batch to another, or indeed from a sample cutting to delivered goods. The fabrics shown on our website are an accurate representation of the actual product but we cannot be responsible for variations caused by monitor/browser settings which may influence the colour of the fabric. The nature of the weaving process is such that there can be small faults present in a roll of fabric. In such cases, Modelli Fabrics will take all reasonable steps to minimise the number of faults present and will make appropriate allowances in accordance with industry guidelines. We cannot accept returns for reasons relating to the presence of faults. No returns can be accepted or credited without prior agreement, therefore clients should email within 7 days of receipt of goods. Cancellation of orders can only be accepted if the order has not been processed by Modelli Fabrics. Customers should be aware that our aim is to process orders the same working day. Cancellations will be disallowed if goods have been cut and prepared for shipment in which case customers will be expected to pay in full for goods ordered. Customers are required to pay for the carriage of any goods being returned unless the goods were either faulty or the order was sent out in error, in which case Modelli Fabrics will return the postage in full.